No eyebrow look is complete without one of Benefit’s brow gels, a complete range of priming, shaping and volumising gels that will beautify your brows. Because everyone’s eyebrows are unique, Benefit has developed an extensive collection of high-performance brow gels, so that everyone can find their perfect brow groomer. 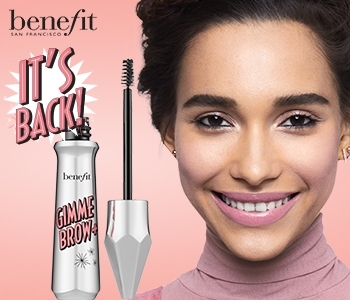 Whether you want to fake the effect of more hairs, or just keep your unruly brow hairs in place, Benefit has a brow gel solution for you.